Obituary for Glenn "Lou" Larue Feist | Spitler Funeral Home, Inc.
Glenn Larue “Lou” Feist, 83, of Montoursville, passed away on January 26, 2019, at Valley View Rehab & Nursing Center. Lou worked as a production supervisor at GTE Sylvania, ChemCraft, Schnadig Furniture, and retired from North Central Sight Services. Lou was best known for his more than 65 years as a professional musician. He was an exceptional drummer, instructor, and entertainer. 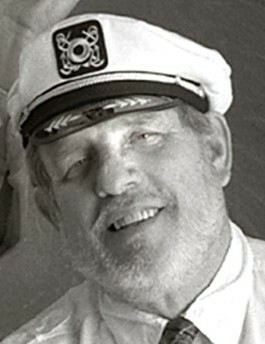 From his early years, in drum corps and big band jazz, to performing at Carnegie Hall, to instructing drum students and drum lines at many area high schools, to his over 10 years traveling with local ragtime/Dixieland quartet -The Morgan Valley Road Band, Lou was always smiling and helping others smile too. He was a member of Our Lady of Lourdes Catholic Church, and played in the first Little League World Series, in 1947. He was preceded in death by his wife of 57 years, the former Nancy E. Shipman and his younger brothers, Lee Feist, of Williamsport and Larry Feist, of Rochester, NY. Lou was a lifelong, outdoor enthusiast and a willing volunteer. He enjoyed spending time with his children and his four grandchildren, Devin, Jocelyn, Jacob, and Victoria. He is survived by his sister, Patricia (John) Mosher, of Punta Gorda, FL, and his sons, Timothy (Cindy) Feist, of Salisbury, MD, Daniel (Susan) Feist, of Los Angeles, CA, and Brendan Feist, of Horseheads, NY. A Memorial Mass will be celebrated at 11a.m. on Saturday, February 9, 2019, at Our Lady of Lourdes Catholic Church, 100 Walnut St., Montoursville. Family and friends are welcome to attend a remembrance social in the church hall after the service. Burial will be held at the convenience of the family.